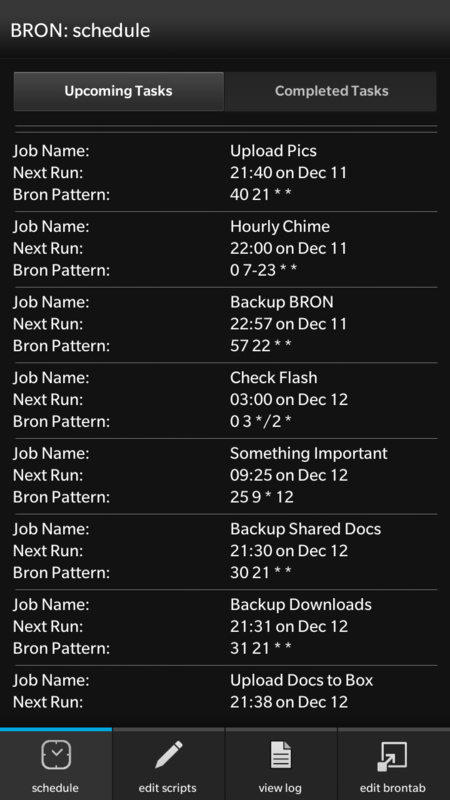 ‹ BRON: Approved and ready for download on BlackBerry World! Interesting site and app … but in laymen’s terms what the FUNK does this app really do??! 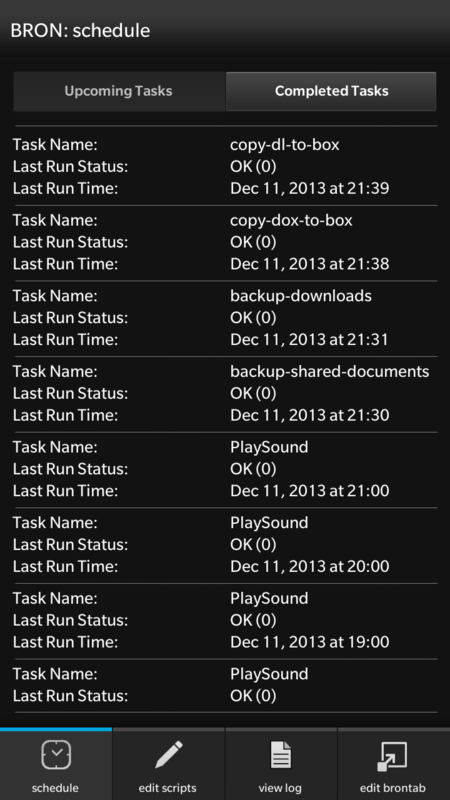 It runs shell scripts at scheduled times on your blackberry 10 device.